The UAW local at Ford's Kansas City plant had set a strike deadline of Sunday afternoon. The UAW late Friday called off its threat to strike a key Ford Motor Co. plant after settling a localized contract dispute with the automaker. The deal was reached at 11:08 p.m. Friday, 38 hours ahead of a Sunday afternoon strike deadline set by the UAW chapter representing more than 7,000 workers at Ford’s Kansas City Assembly Plant. The UAW had accused Ford of refusing to negotiate “in good faith” after more than 40 bargaining sessions since April failed to produce a deal. A walkout would have disrupted production of the F-150 and Transit, two important and highly profitable nameplates. Ford and the UAW had disagreed over several issues, including worker safety and scheduling. 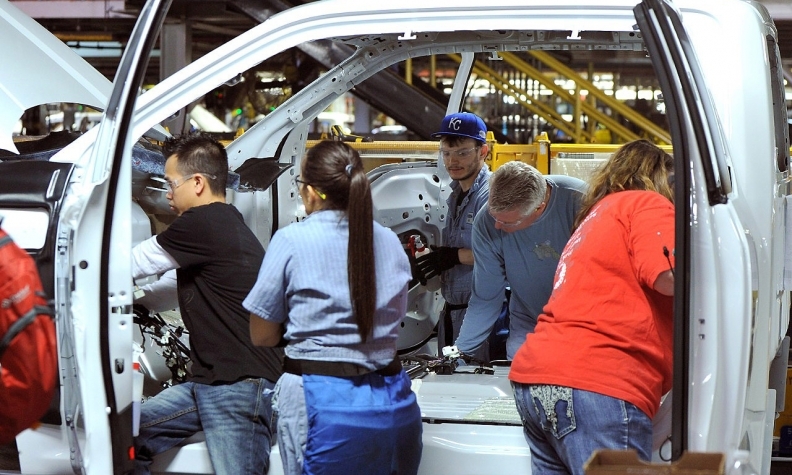 The plant, located in Claycomo, Mo., accounted for 19 percent of Ford’s total U.S. production in August. Earlier Friday, Automotive News reported that Ford had scheduled mandatory overtime shifts for the next two weekends at its other F-150 plant, in Dearborn, Mich., and was diverting frames for the pickups away from the Kansas City plant to maximize output in Dearborn. The strike threat was not directly related to negotiations between Ford and the UAW on a national contract covering more than 52,000 workers. Those talks have been paused since mid-September, when the union focused on reaching a deal with Fiat Chrysler Automobiles first. FCA workers this week soundly rejected their proposed national contract, but it is unclear whether the union will return to the bargaining table with that company or shift to Ford or General Motors. The Detroit Free Press reported late Friday that UAW President Dennis Williams intends to explore trying to reach a new deal with FCA first.